I was really struck by just how much more eye-catching the story about LightUp (an already quite startlingly inventive magnetic snap-together circuit-building kit) was when they introduced the Augmented Reality (AR) feature. So just how difficult is it to add AR to a novel hardware product? Nobody these days would dream of bringing out an innovative piece of hardware without working out how they can use a mobile app to enhance the product’s usability. All that AR is, in this context, is ‘an additional set of functionality for the product’s mobile app user interface’: so it seems like a no-brainer to just add AR functionality to the mobile app that you’re planning to release with the product. The question that this raises, is ‘just how difficult is it to add genuinely useful AR functionality to a mobile app’? Your answers will be welcome in the comments below, please. So here’s a product which already offers what seems like a new, surprisingly fun and easy way to do something which, up until now has been seen by many as being important but offputtingly hard to grasp (in this case, learning exactly how electronic devices work). The beginning of the video below, showing the effortlessness of making circuits using parts which snap together magnetically, already looks as if it is a surefire winner as a superb new educational tool. It would be difficult to imagine someone saying ‘sorry, that’s just not cool enough’, or ‘I just can’t see enough educational benefit’. ‘You know what? We can do way better than this, we can make it even more cool and even more easy to use and learn from’. And it looks to me as if they not only succeeded in achieving this, but that they did it without having to change anything about the hardware. They used AR to build in an additional layer of user interface functionality which took the product to a whole new level of sophistication. You could be forgiven for thinking that the AR may even have trumped the imaginative use of magnetism as the most revolutionary innovation in this particular learning experience. As a ‘product augmentation feature’ this raises the question: what should you be looking out for in your product, such that you can use AR to enhance it? AR is something which all hardware startups would do well to seriously consider as an ‘essential brainstorming requirement’ when they explore ways to make their product easier to use and more exciting to demonstrate. Time for some bullet points: what should LightUp’s use of AR make you ask yourself about opportunities to improve your product’s user experience? 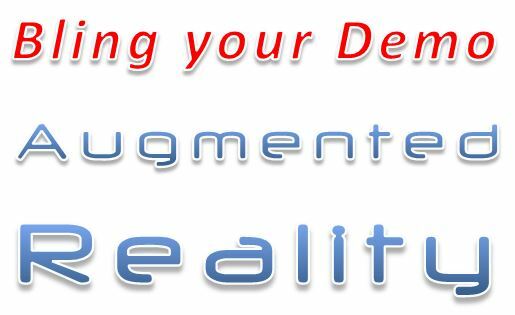 Even though these considerations are primarily aimed at ‘improving the user experience’, in practice user experiences which involve using augmented reality tend to look and feel very futuristic (i.e., surreal or hyperreal: there’s something uncannily magical about seeing text and graphics ‘dynamically overlaid onto reality’) and will probably even make a product with only a comparatively limited range of uses look absolutely irresistible in a demo video. AR is not just a way of baking in UX goodness, but as you can see from LightUp’s KickStarter promo video below, it is high-profile ‘demo video bling’.